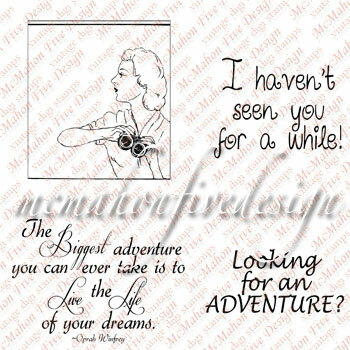 Here is McMahon Five Designs New Release for June 6/29- look for another fun set being released July 2nd (next Monday). I linked it on sidebar. Thanks to everyone that stopped by! 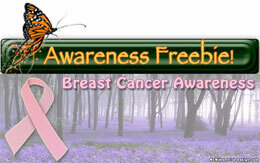 McMahon Five Designs releases a FREE Digi Breast Cancer Awareness Freebie this month. Although I did NOT 'create' a project with the image yet, I wanted to show you fun image- I think this is my favorite one so far! 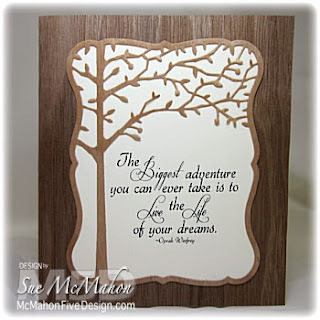 If you create, please link up to the gallery at Splitcoaststampers with your card and tag it McMahon Five Designs or M5D. 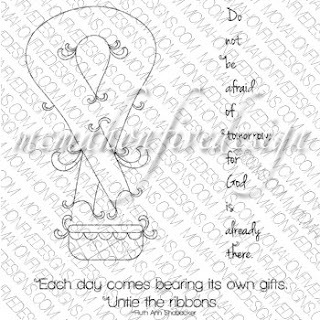 the Ribbon stands for so many other Awareness. 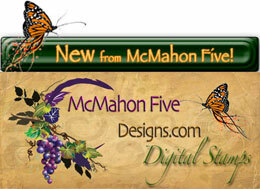 There is also a big sale going on at McMahon Five Designs! Sign up for the newsletter for the latest...! 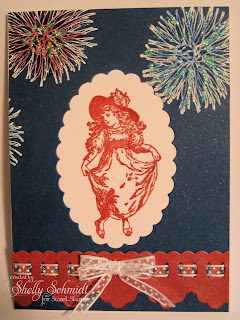 This week at the Sweet Stamps Challenge we are making Patriotic or Summer Cards. I had fun thinking 'Out of the Box' with this challenge. Can you tell? I used the top of the Dahlia flower for my fireworks. I stamped the Dahlia flower HERE using Ranger Clear Embossing ink and embossed with White Embossing Powder. I colored over the White Embossing Powder with Copic Markers- HERE Next, I added Crystal Stickles over the top of that. 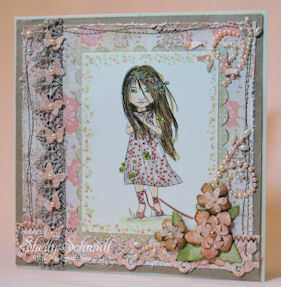 The image is Cherie from Sweet Stamps. 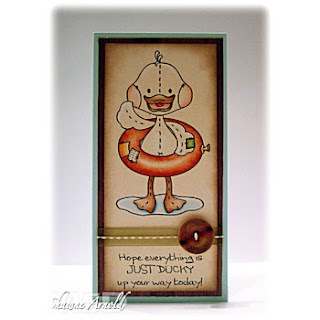 I used Ruby Red ink to stamp the image, then added Creative Inspirations paint Russet Red- a perfect match! The image is stamped on white cardstock that is then placed behind a Blue cardstock called Blue Sparkle Abysse. The scallop opening in the blue is centered in the middle of the blue cardstock using the Nelli Snellen 007 Oval Multi Die. 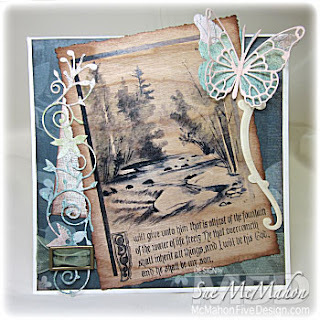 I added the border using the Marianne Ribbon Border Die 103. I added Red Russed CI paint over the top for shimmer, and wove a white bow thru the openings. 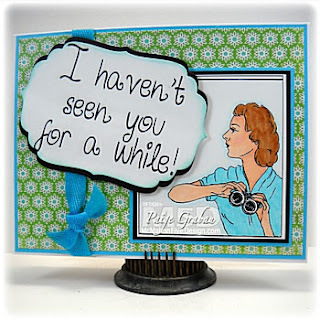 Stop by the Sweet Stamps Challenge Blog HERE to see what the rest of the DT has created for the Challenge. 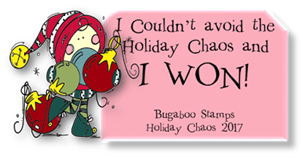 Are you in the Red/White/Blue stamping mode yet??? 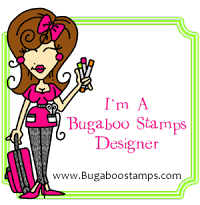 Well, I am getting into the groove- and wanted to share- I love this stamp set- and want to give one away- it is an unmounted sheet of stamps from Artistic Outpost called HERO- love it so much I have two of them......! -If you want to post this on your sidebar- come back and leave me another comment. 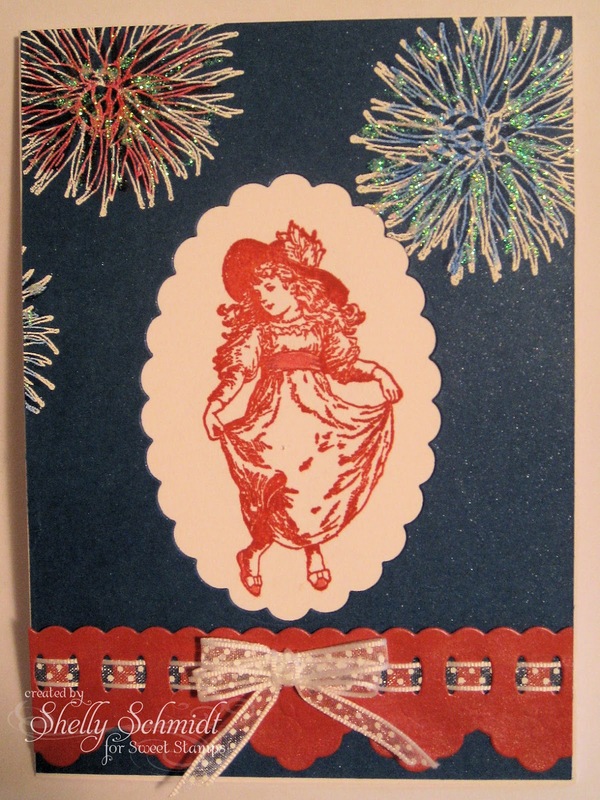 I will draw a winner this Thursday 6/28/12 at 12 noon (CST), and would love to get it in the mail ASAP so you can create Patriotic cards before the 4th.. 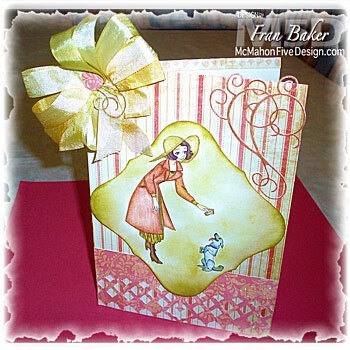 I wanted to share a couple of cards I rec'd from Technique Junkies members. Denise Taylor made this beautiful card- we participated in a 1-4-1 swap called the Just One. You sign up for the swap and are assigned a partner. 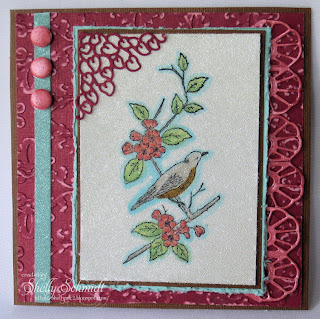 I love this card- it uses the Acrylic Block Taping technique from the latest newsletter for the background. 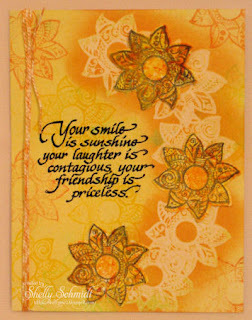 Sheri Danielson sent me this card using the Newspaper Reveal technique 4/09. I used this alot and will have to revisit the technique soon! I printed the image on Cryogen White cardstock, colored it with Copic Markers and used an 'Out of the Box' technique for cutting it out with a nestability. I added a UFO TJ background strip that is shimmery green and turquoise- thought that resembled water......I ran it thru the Big Shot with a swirly pattern. I added some brown highlights to the Kraft to look like sand. The clouds are Memory Box dies and I have a pile of them sitting on my desk. 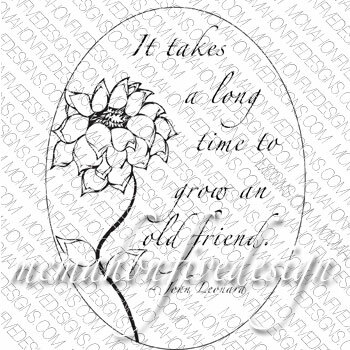 The sentiment is from Create with TLC- I cut it apart so it would fit across the bottom. Microbeads are back! 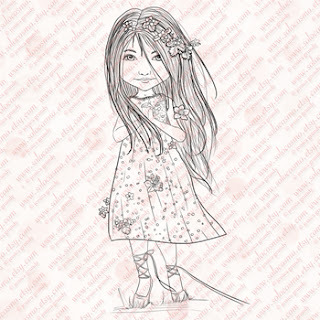 Let's see what you can make with microbeads and join us at the Sweet Stamps Challenge. I had fun with this challenge- can you tell? 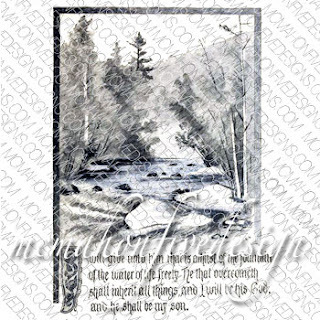 I stamped and colored the image with Copics, then put it through the Xyron and added Microbeads over the top. I also added microbeads using the same method on the blue strip. 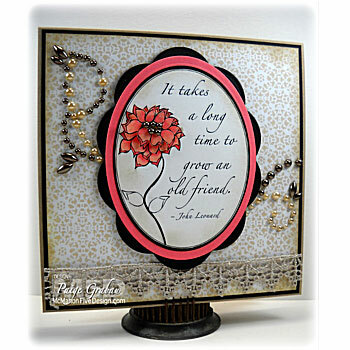 I used Russet Red Creative Inspirations Paint to add color to the Cheery Lynn Italian doily die and to the Candi brads. 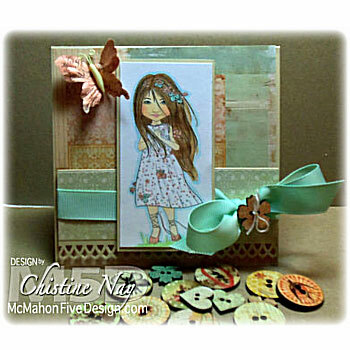 The cardstock is Coordinations Berry Reds and Sandy Tans. Coordinations Cardstock- Berry Reds (Raspberry) and Sandy Tans (Quicksand). (The blue is SU Pool Party). Clear Glass Microbeads - run cardstock through the Zyron- use a bone folder to get really good coverage before removing the backing, then cover with microbeads. 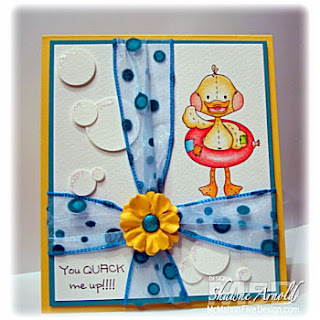 Stop by the Sweet Stamps Challenge Blog HERE to see what the rest of the DT has created for the Double Dutch Fold Challenge. 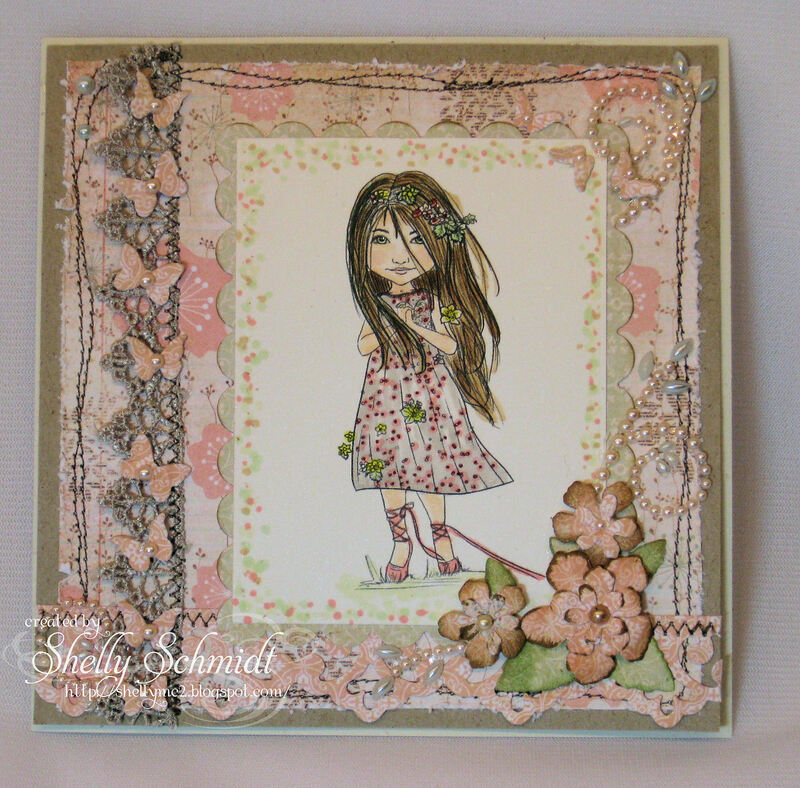 My friend Kim is a SU Demo- she designed this card and I attended a workshop celebrating the new SU catalog and got to make one...... hubby Loves it! If you are ever in her area, that is Lisle, Illinois- you'll want to attend one of her workshops- she makes the most wonderful cards! (let me know if you want her contact information). In the Michael Strong Yahoo Group, we have a weekly Card Captain - so we have daily inspiration. This week, no one signed up, so we were able to sign up for just one day- so I am the Captain for today. This set -Mini Cloisonne Shapes also has a set of matching dies. 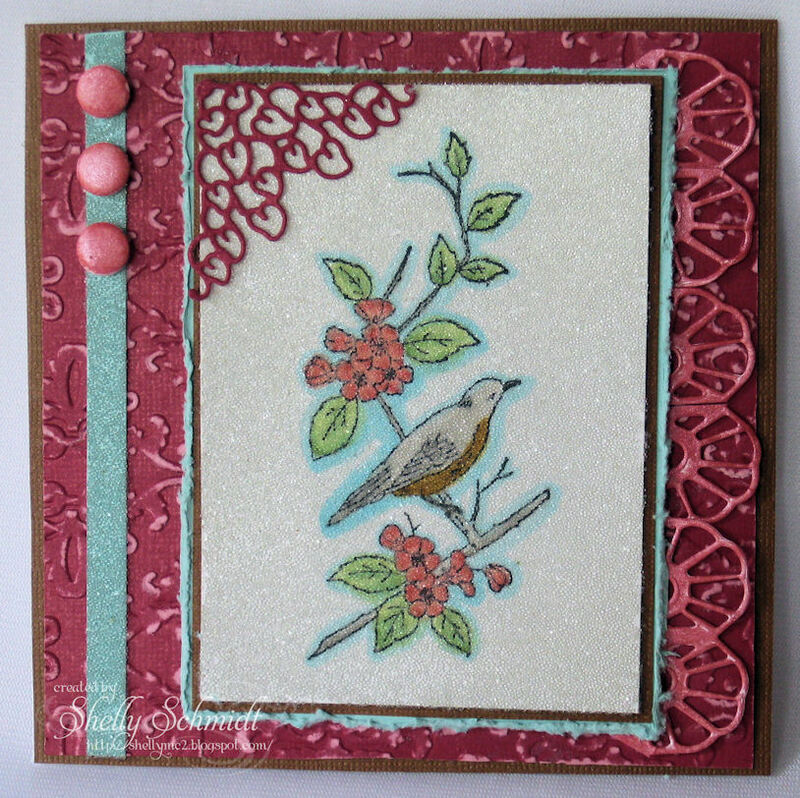 I used a number of TJ techniques to make this card- the background is Glimmer Mist Watercolor, I used Cascading images, the flowers are die cut from a UFO- an earlier technique I made a few extra's and did not note what I did.....and the Baker's twine is home made using a Copic and Pearl Cotton in White. The card is really shimmery IRL . My colors are Glimmer Mist- Yellow Daisy and Blue Sky. I stamped the images on the BG in Yo Yo Yellow, Only Orange and Gable Green- I stamped off first so the colors would be subtle. 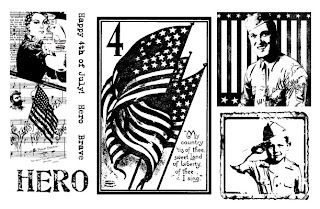 The images cut out with the die are stamped in black. The sentiment is Stampendous circa 1998- embossed in black. 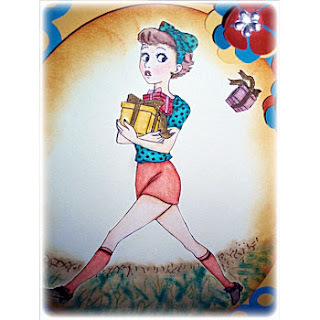 Julie Koerber is celebrating 5 years of blogging and has a challenge to "Gimme 10 and Celebrate 5". This is a third card I made a card with Flourishes Thank You set -I love Tulips.....I colored this with R02 and R32 and G's for the leaves. 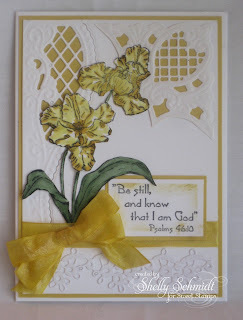 I stamped and embossed it, colored it and then went over the image with Versamark and clear embossing powder for my RESIST for the challenge. 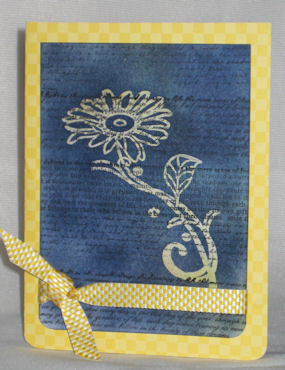 I stamped the text image over the floral image and sponged on some Groovy Guava ink. I embossed a strip of the CS and highlighted the dots with ink. 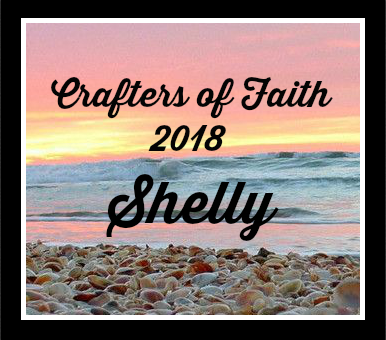 I stamped the sentiment and made a banner tag. I put 2 dimensionals under the strip to give some dimension. I added a Dew Drop in the corner and had to stop for time. Congrats on five years Julie and Thanks for all of the beautiful Inspiration!!! 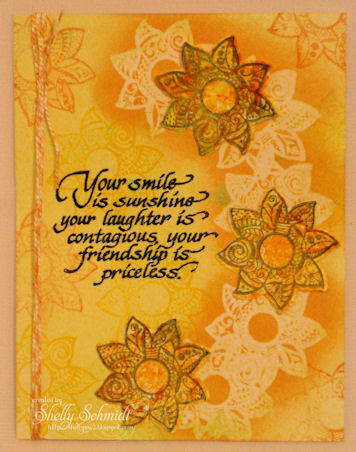 I used Webster Pages DSP again and Coordinations cardstock (Sandy Tans). The stamps are called Irish Blessings. 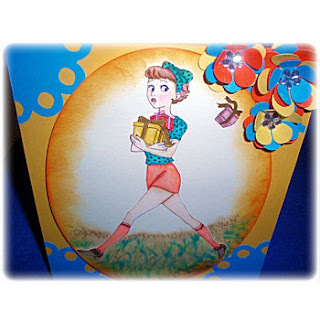 Julie Koerber is celebrating 5 years of blogging and has a challenge to "Gimme 10 and Celebrate 5". Oh boy, I do not do CAS easily, but thought it would be fun to try- especially since I love the Flourishes stamps she enables me to buy : ) and I do not use them enough. 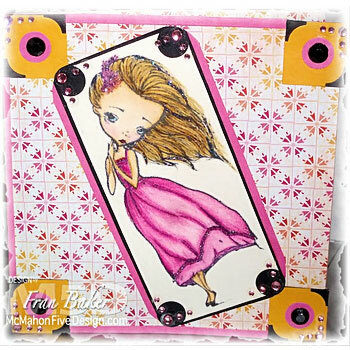 My First card uses a new Technique Junkies Technique called Copic Outline. I used Webster papers and I also made a quick piece of custom Baker's twine with YG03 Copic. The stamps are called Spring Ephemerals . I had fun with this challenge- can you tell? I got out my Technique Junkies listing and found 12/05 Brayered Bleach- with three variations- so I did method three- background plus. I used Shades Ink- In the Pink HERE. I brayered the ink on over the stamped images and then used bleach in an aqua painter to remove the color. 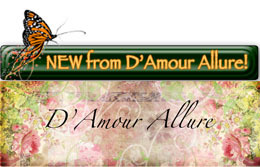 The Butterfly image is HERE. I did stamping with the Ring Around the Rosey border image found HERE- to add background dimension. I added a light touch of Fairy Dust Creative Inspirations paint over the top of each of the butterflies to add shimmer- CI paint is HERE. The Seam binding just happened to be on my desk left over from a prior project- I do love pink....... I cannot tell you what colors I used to die this. 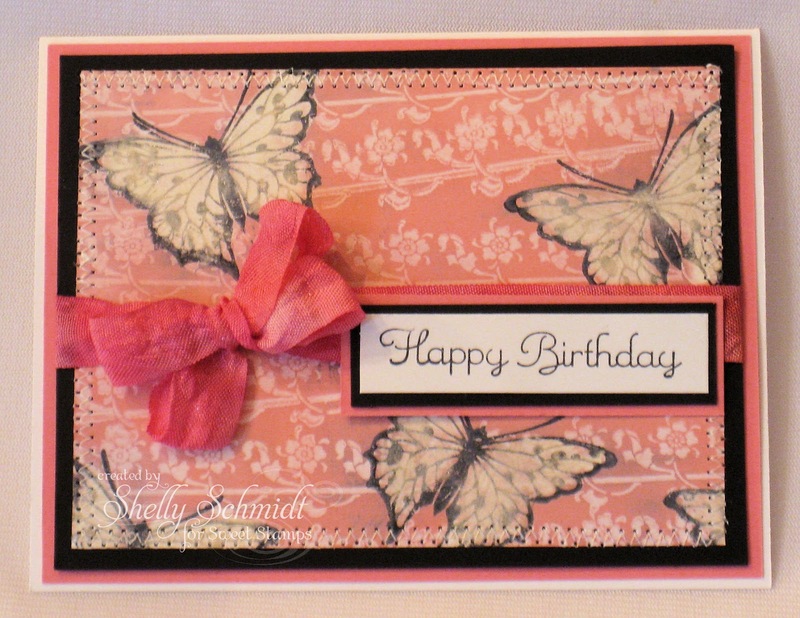 Happy Birthday-found HERE- is stamped in black and mounted it to mimic the BG of the card- and I added an outline of sewing to finish off the card. 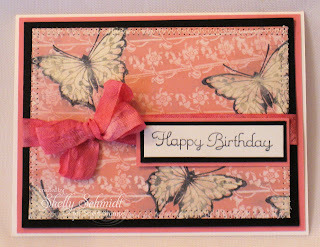 Paper Pretties- your favorite color- Oh that would be Pink...! My daughter graduated again this year from Ohio State University with her Master's Degree in Education! (Last year, she graduated with her BA). So, on this Anniversary- taking creative liberties here- I made a card using Technique Junkies techniques called Depth of Field and layer up. The Red (Crimson), Gray and Black are The Ohio State University school colors. Images are Grad hat is Stampin Up (retired) and sentiment Close to My Heart. 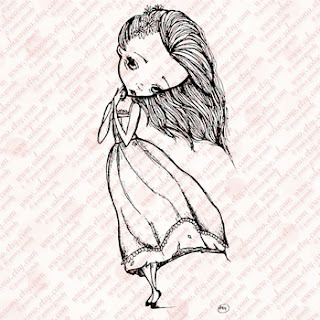 To join in the Bloggers Challenge for this week, join in Mr Linky Below. 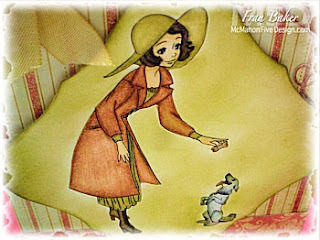 BC 'Mom' Lisa's Blog can be located HERE. At The Ohio State University, the ENTIRE class graduates together- all Bachelor's candidates, all Masters, Doctors, PhD's....etc There were over 10,000 grads in the ceremony- here they are filling up the end zone. It is amazing to see this process of the grads coming in- the PhD's get their names called individually, the rest are awarded their diploma's in the 'exit march'. Wahoo!!! What an accomplishment! We sure are proud parents!!! 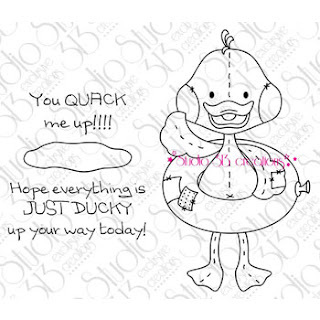 The image and sentiment and all of the dies are from Sweet Stamps. Border -Dancing Doily Lace HERE - I think this looks like tatting- my favorite border die! The ribbon and image are colored with Copic markers, I added Creative Inspirations Fairy Dust paint to the bow for some sparkle. 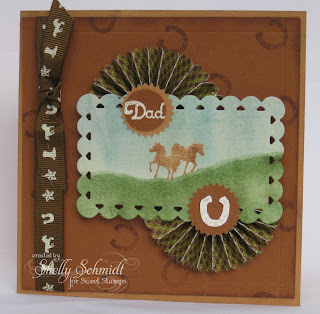 This week the Sweet Stamps Challenge is For Dad. Stamps: 2 Horse Silhouette, Horseshoe both found HERE, and Dad found HERE. I found the ribbon in Breckenridge Colorado last summer- perfect! I wish you could see the glittery gold sparkle from the Fantasy Ivory EP I used on Dad and the horseshoe. 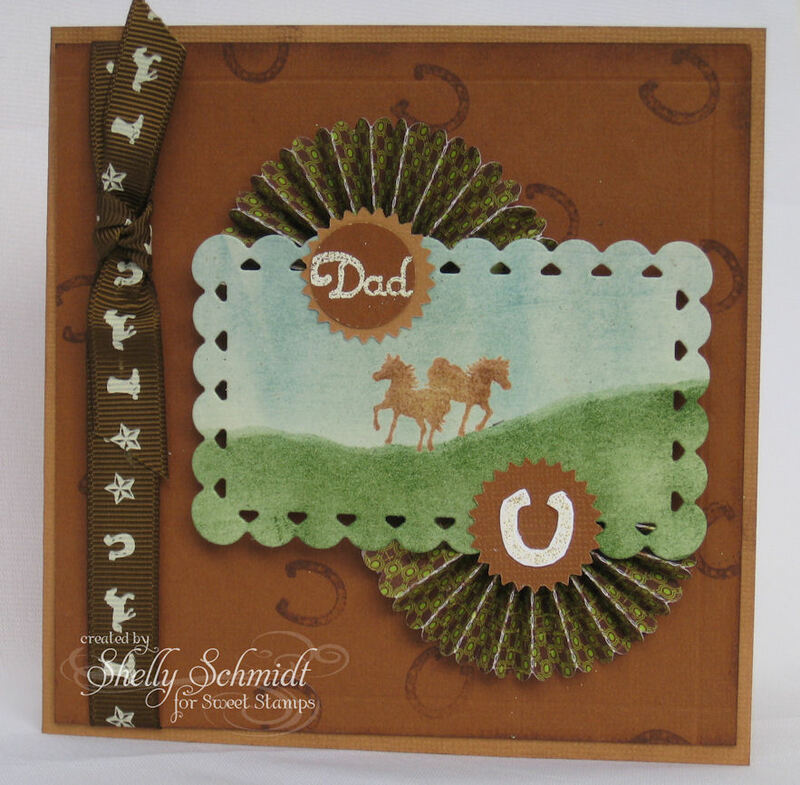 The Horse Silhouette was stamped using the Rock and Roll technique, then stamped into the embossing ink and clear embossed so I could brayer over it. The card measures 5 1/4" x 5 1/4". With the Belmont Stakes coming up this weekend, I thought a horse themed card would be perfect! I’ll Have Another has a chance to win- and the last time we had a Triple Crown winner was Affirmed - and that was 34 years ago! So, lets all cheer on I’ll Have Another........!!! 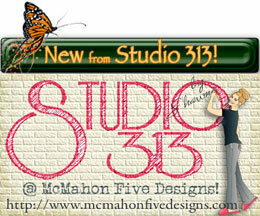 I got a package in the mail from McMahon Five Designs today- and I had to make a card! 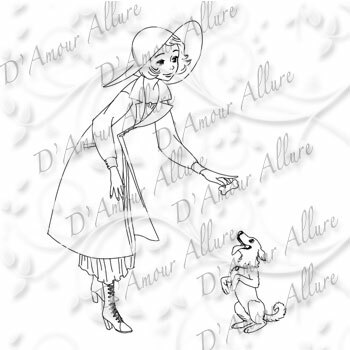 I used a new release digi by Solocosmo called Annalise Lane. I colored the image with Copics- and used a new Technique Junkies technique called Dotty Edges. I used Cryogen White cardstock which has a shimmer to it and takes the color from the Copics beautifully. If you have been thinking of trying this cardstock- check it out now- BIG SALE! New at McMahon Five Designs are Memory Box Dies- I used the Butterfly Delights Die for the small butterflies on the Lt border of my card. 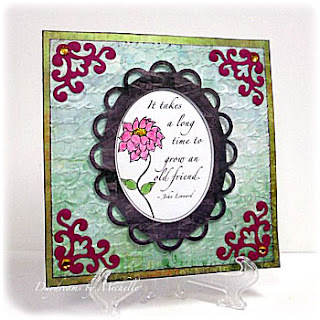 I used the Fancy Blossom Die and the Tender Leaves Die using the Prima DSP for the flowers. 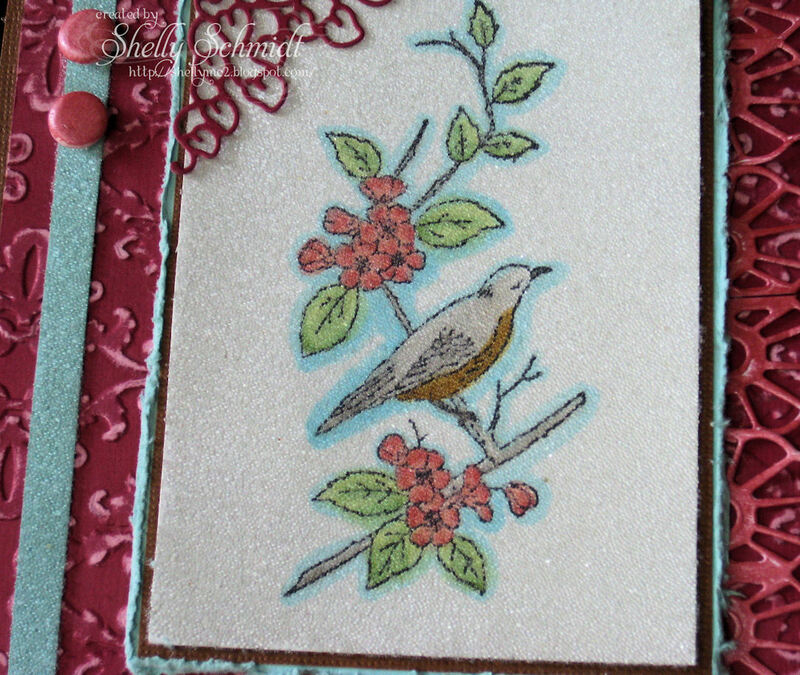 I used Prima Songbird DSP for the card and all of the die cuts. I added some Prima lace- love this lace- it is also on sale.... Next, I used Prima Songbird Say it in Pearls- I used just portions of the pearls as you can tell. 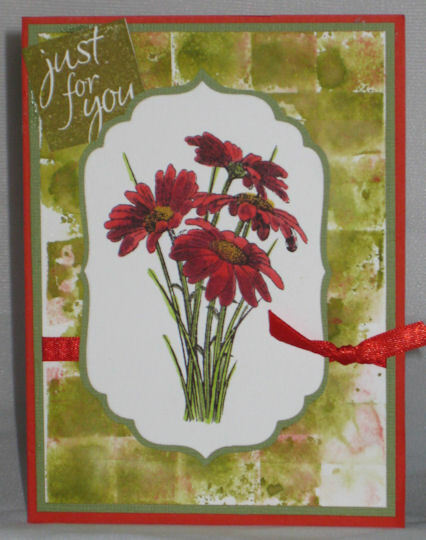 I distressed to the edges of the DSP and added stitching and Kraft cardstock to bring out the browns in the DSP. Can you believe it is June already??? McMahon Five Designs is going to give the designers a break for the summer, and we are going to have our releases less frequently-we'll still be around......just not as frequently. Sue will still post flashbacks- so check out the M5D blog and sign up to follow to keep up with the store! Here are the new releases for 6/1/12 at McMahon Five Designs. Stop by M5D store and blog for some great sales! 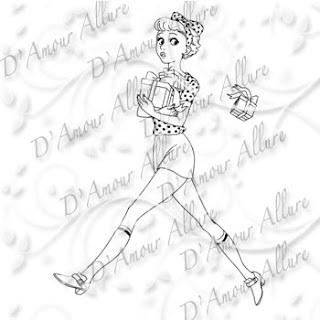 No Time To Stop - Must Shop!